Badgers ball. 25.8 sec left. Hayes with the 3-pointer -- he has 20 points -- and the #Badgers lead 70-69 with 17.8 seconds left. <3 YOU FOREVER AND EVER NIGEL!!!! 17.8 seconds left, #Huskers down 70-69 after a Hayes 3-pointer. 70-69 Wisconsin on Nigel Hayes' 3-pointer. Huskers ball with 17.8 seconds remaining. *nudges Greg Gard* Cover, uhhhh, *checks scorecard* Jacob's Son? Smart play by Happ, who gets the block, rebound and calls timeout before he falls out of bounds. UW's ball, 3.3 seconds left. ETHAN HAPP IS THE BEST DEFENSIVE PLAYER IN ANY COUNTRY IN ANY SPORT! Ethan Happ denies Tai Webster on a drive to the rim and gets a timeout call with 3.3 seconds left. Huge block. Hayes with a huge 3; Happ with a block and timeout and #Badgers have 70-69 lead and ball with 3.3 left. Can you get any more clutch than this @BadgerMBB squad? 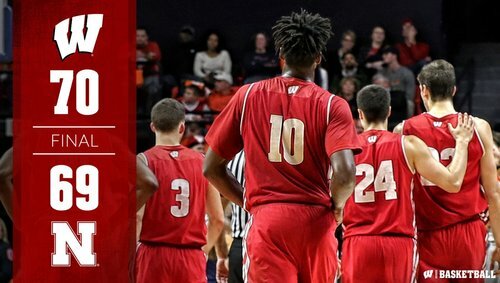 @NIGEL_HAYES nails a monster triple late in OT! Ethan Happ with the BLOCK! ???? 3.3 left. Wisconsin ball up 1, #huskers will have to foul. Hayes fouled with 2.2 seconds left. 2.2 seconds left. Hayes will shoot 2 FT .
Miss on purpose or nah? Koenig bank 3, Hayes with the killer 3 and Happ with the game-winning block. "Big 3" indeed. 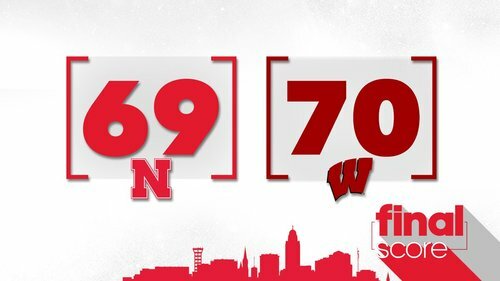 Final: #Badgers 70, Nebraska 69 (OT). Hayes with 20 points and UW extends its winning streak to eight games. I DEMAND ETHAN HAPP WINS EVERY AWARD COLLEGE BASKETBALL GIVES OUT! Not to mention a couple big-time shots from Showalter. Gutted it out. Got it done. Make it eight straight wins. FINAL SCORING: Hayes 20, Showalter 15, Koenig 12, Happ 8, Brown 7, Pritzl 4, Iverson 2, Thomas 2. UW shoots 36.5% (23-for-63) and wins. Hayes 3 was the only one he took all night. Ok gang, thanks for hanging out with me as I tweeted through it. #Badgers win and no one got hurt. @drewhamm5 signing off for the night. Had it all along. ???? The credentials of Bronson Koenig have been proven. 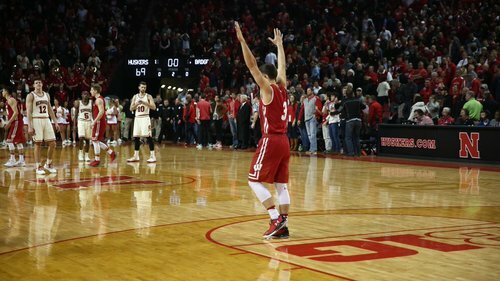 #Badgers hit key FTs; Hayes buries 3; Happ blocks, calls time and the poles ball loose at end. UW wins. No idea how. #Badgers hit 10 of 13 FTs after going into bonus in second half. Final stats on the night. 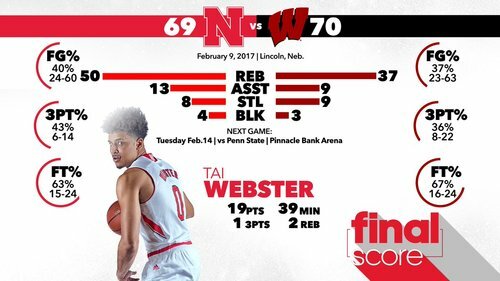 @Tjawtherula led the team with 19. Seen at PCA Thursday: #Badgers Koenig hit side of board on corner 3 and banked one in from on top. ???? Tonight we saw #Badgers Koenig hit side of board on corner 3 and bank one in from in top. ???? Huge night for #Badgers Showalter on both ends. Big shots, hands everywhere. Kudos. 8 straight wins for @BadgerMBB !